Do You Know the Differences between Juices and Smoothies? Juices and smoothies are touted as being ultra-healthy food choices and especially refreshing during the summer season. But there’s a bit of a misconception out there that juices and smoothies are the same thing, and this couldn’t be further from the truth. In fact, there are big differences in how they’re made and what nutrients you’re getting from each of them. To make your own juice at home, you’ll need a juicing machine, which is a kitchen device that separates liquid rich with nutrients from the leftover parts of fruits and vegetables into separate compartments. 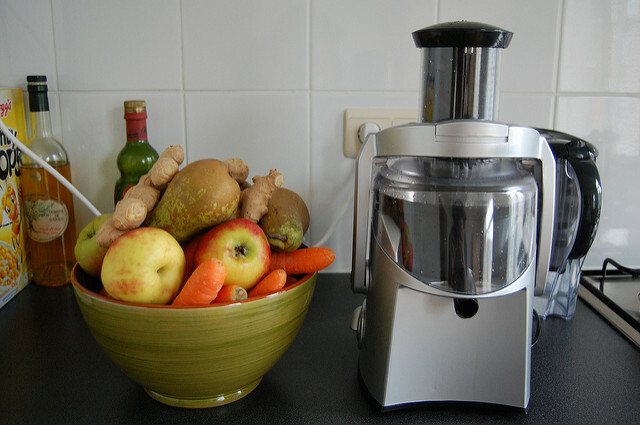 Juicing ensures that you get the liquid from plants after the fiber is removed. 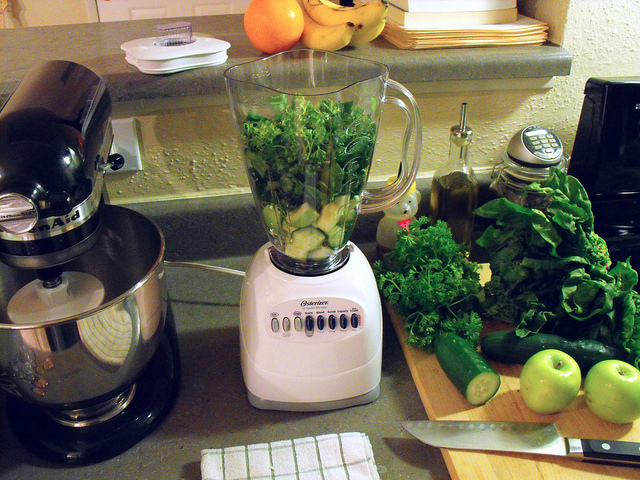 One of the biggest benefits of juicing is that juice is easy to digest. However, it does require a special (and pretty costly) machine and results in wasted plant parts that are actually full of nutrients too. All you need is a blender to make a smoothie because blenders turn foods into slushy versions of themselves. Smoothie recipes can be simple or complex, depending on how adventurous you are in the kitchen. A big benefit of smoothies is that you retain all the fruits and vegetables’ natural proteins and fibers, with nothing going to waste. You can also enjoy a lot of variety with smoothies by adding not only fresh produce to your blender, but also supplement powders, nuts, seeds, and milk. The downside is that they’re not as easy to digest as juice and can take more work and time to prepare. Depending what you add into them, of course, both juices and smoothies can be very healthy and are a great way to cool off during the hot and steamy summer months. Here is one carrot juice recipe and one carrot smoothie recipe worth trying. What’s interesting here is that this sample carrot smoothie recipe actually uses carrot juice as one of its ingredients! Drape a large, thin dish towel over a mixing bowl and pour over the juice. Then lift up on the corners of the towel and begin twisting and squeezing the juice out until all of the liquid is extracted. Set aside pulp for smoothies, or baked goods (such as carrot muffins). In addition to juices and smoothies, you can also increase your daily intake of produce with fruit and vegetable supplements that are 100% pure and healthy too. For example, our carrot powder is made from our own organic carrots grown on our farm. Our carrots have been tested to be free of chemicals and pesticides by a lab certified for testing by the State of California. Naturally sweet and with no fillers, we use the entire carrot in our powder so that none of the nutrition is lost in processing. This product is made from the entire carrot – the juice, skin and pulp. If you don’t like the taste of raw or cooked carrots or don’t have access to fresh carrots year-around, this powder is a cost-effective way to get all the health benefits without the trouble of making homemade juices. 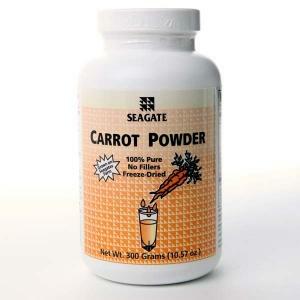 One glass of juice made from Seagate Carrot Powder costs about $1.00 per serving. For even more tasty ways to enjoy carrots in juices, smoothies, soups, entrees, and breads, check out our Carrot Powder Recipe section.